Some range of components we repair. 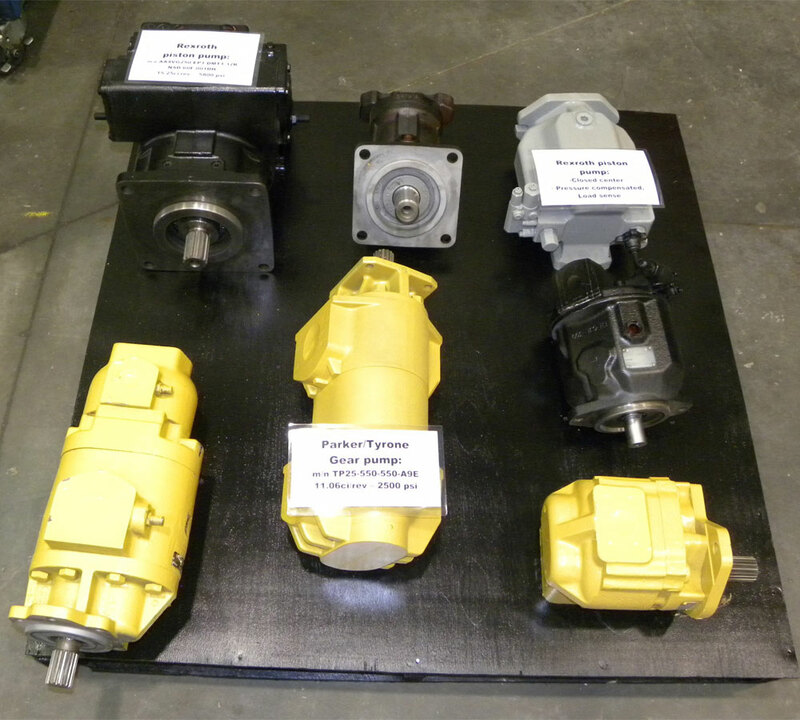 Various pumps, motors and gear boxes in cue for re-assembly. Gir Del provides 24 hour repair and re-manufacturing services on all component brand products. 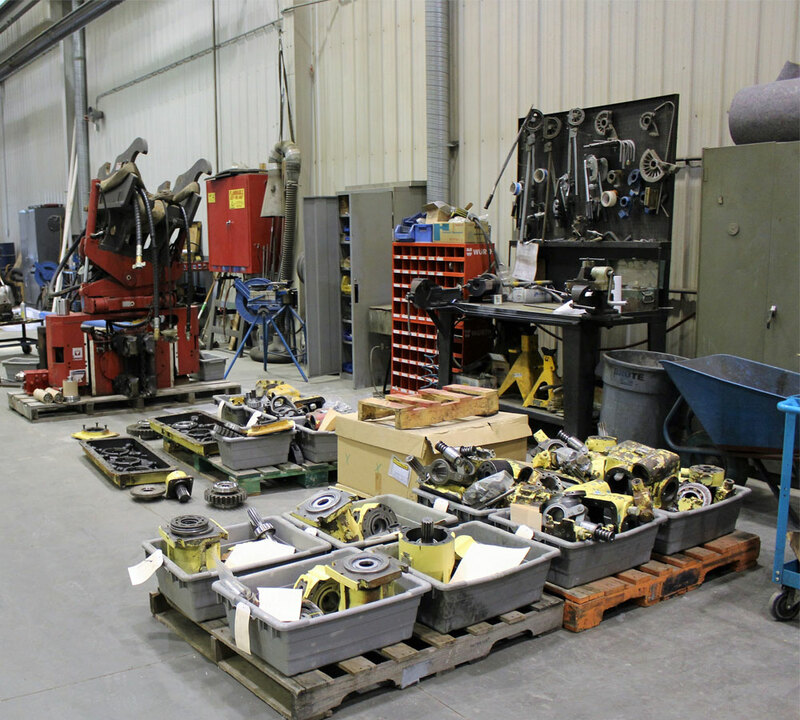 Conversion repair shop c/w 3 only tear down benches for repair/assembling of Commercial gear pumps, motors and valves, Denison vane pumps and mobile valves. We have a very diversified customer base that depend on us for our component repair ability. This requires that we repair a very broad range of hydraulic components, and have extensive North American and European resources to support this. 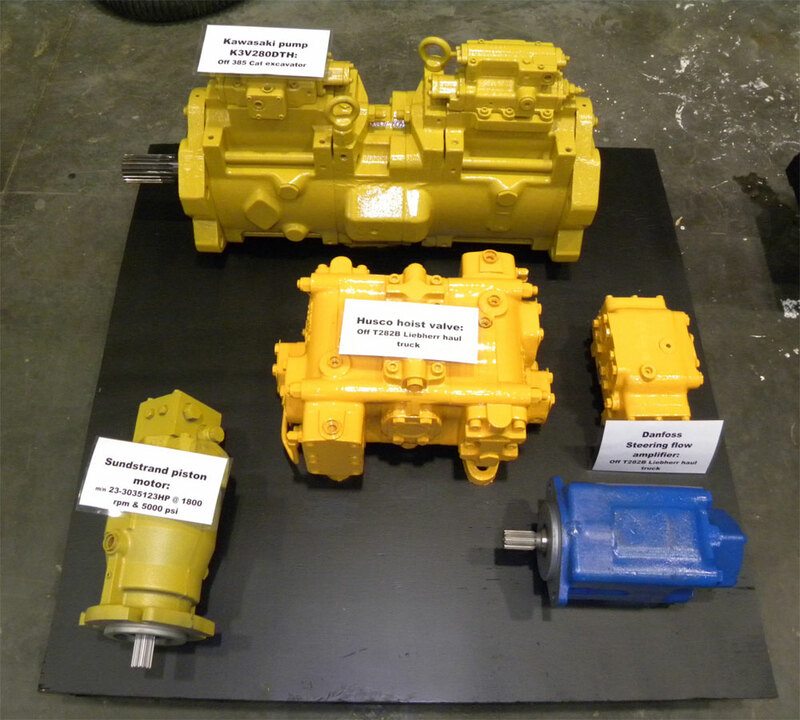 We repair Bosch-Rexroth, Braden, Brevini, Caterpillar, Calzoni,, Casappa, Case, Commercial, Danfoss, Denison, Dynapac, Eaton, Geartek, Hawe, Hitachi, Husco, John Deere, Kawasaki, Komatsu, Letourneau, Linde, Oilgear, Parker, PullMaster, SAI, Sauer-Danfoss, Sundstrand, Tyrone, Vickers, Wandfluh, White.